Olympus Ventures LLC paid $35.15 million, or $623.79 per square foot, for the 56,349-sf building. A high-net-worth buyer out of Minneapolis acquired The Urology Center of Colorado in one of the highest priced medical office building transactions ever to close in the Denver metro area. “This is one of the highest-priced medical buildings I have seen in my nearly 45 years in the commercial real estate business. Strong tenants and a great location contribute to the high rents the tenants pay and the high price,” said John Winslow of Winslow Property Consultants, who was not involved in the transaction. 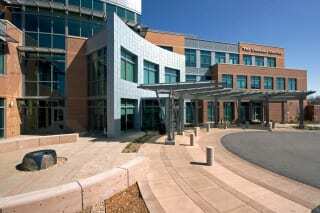 “The Urology Center of Colorado is one of the strongest urology practices among its peers nationally. That, combined with its location in the burgeoning Jefferson Park neighborhood, provided a great depth of medical buyers for this assignment. We are very pleased with the outcome for the seller and expect it to be a great long-term investment for the purchaser,” Chris Bodnar, executive vice president of investment properties with CBRE’s U.S. Healthcare Capital Markets group, said of the sale. Read the entire article in the Dec. 16, 2015 -Jan. 5, 2016 issue of the CREJ.